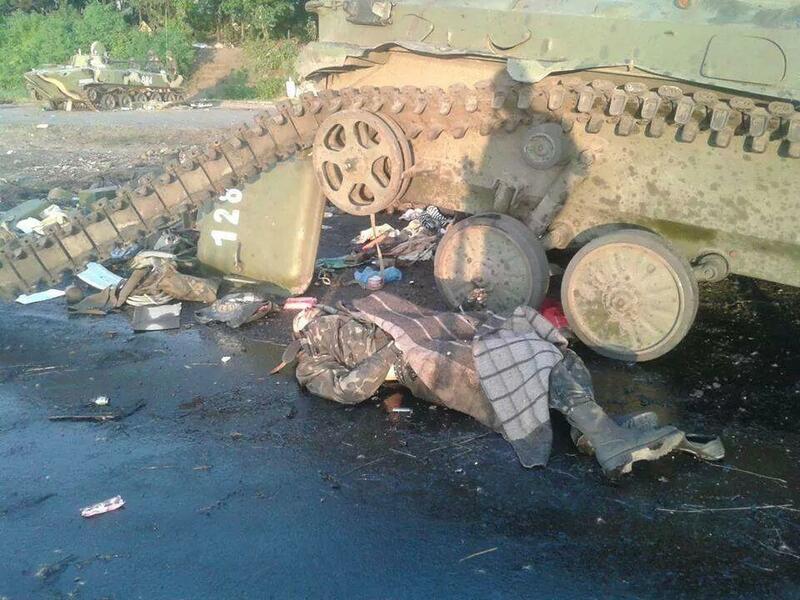 Putin@war: (GRAPHIC) Rebel retreat from Slovyansk didn't go without a fight. 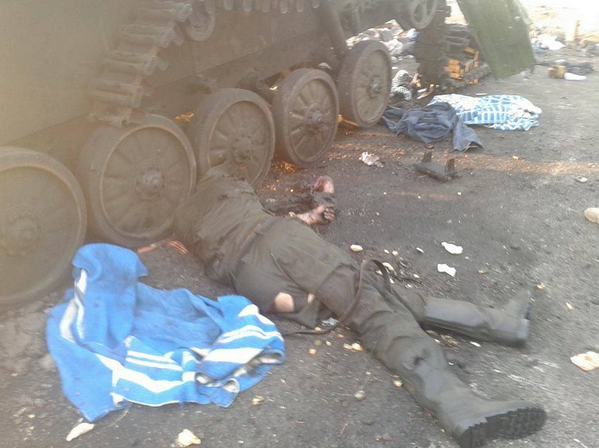 (GRAPHIC) Rebel retreat from Slovyansk didn't go without a fight. 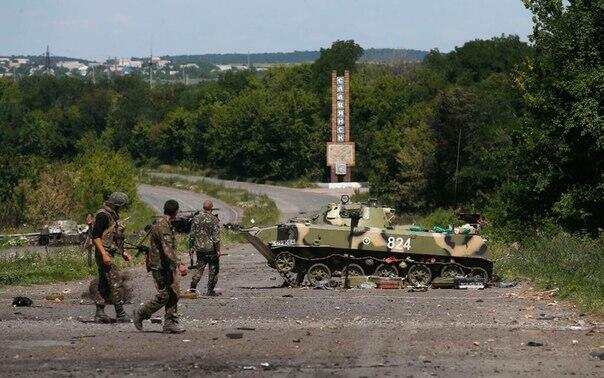 On June 5th Slovyansk and Kramatorsk had been abandoned by the almost encircled (pro) Russians who retreated to Donetsk. This did no go without a fight. Those victims probably are (pro) Russians. You can see the similarities. 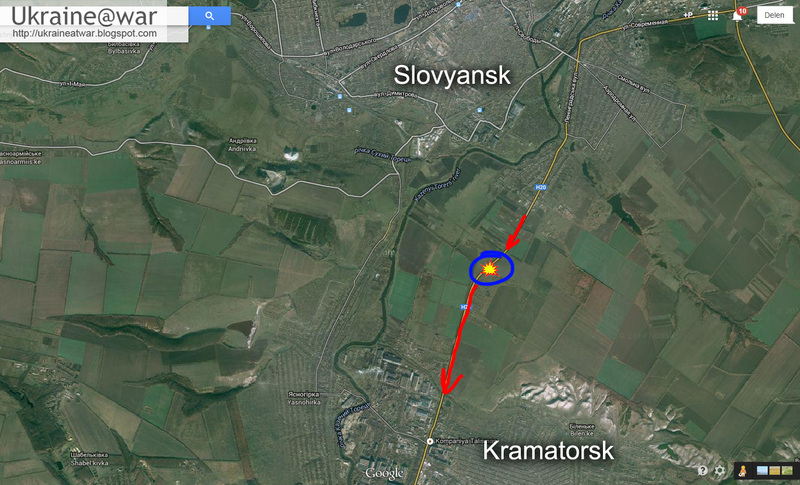 It means the (pro) Russians had attacked this checkpoint and overrun it to flee to Kramatorsk. 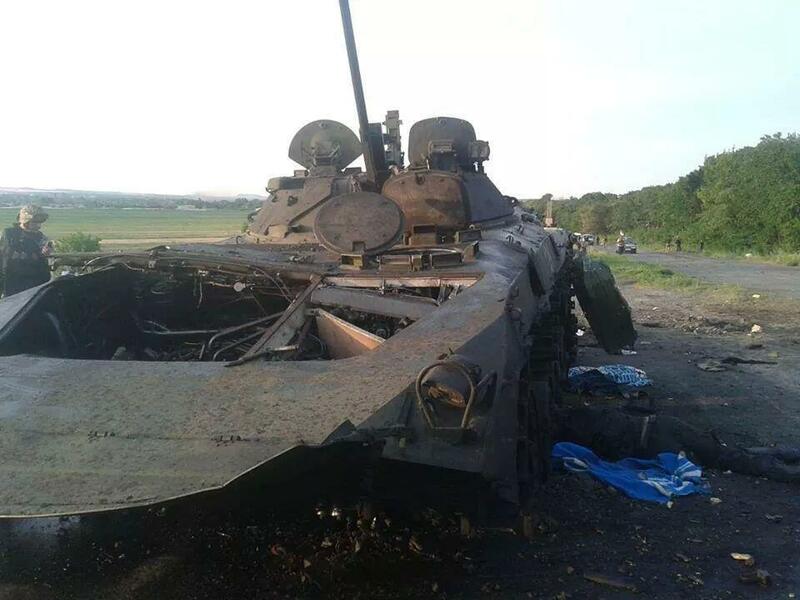 Most of them went to Donetsk to fight another day. 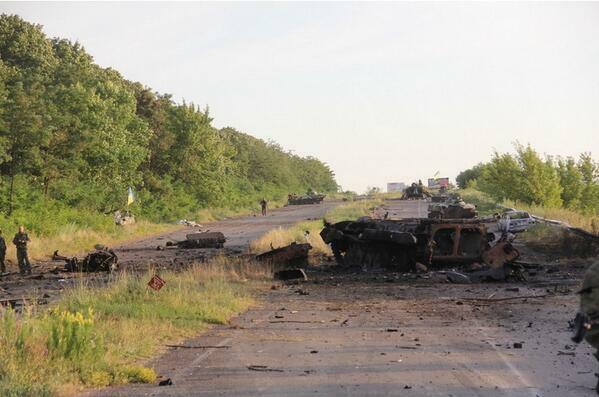 They left Kramatorsk almost empty. Some people questioned why the army had allowed the rebels to retreat. 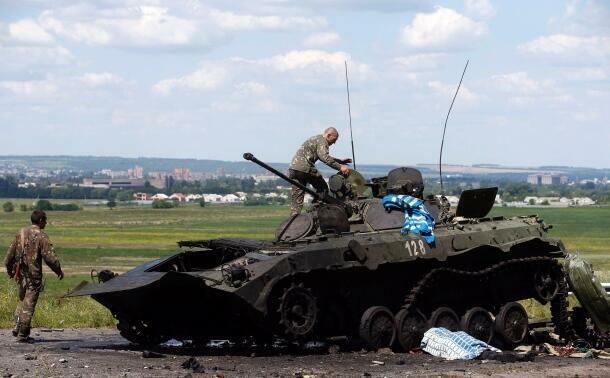 Yet, by allowing them to do so, Slovyansk has been freed without leveling the city to the ground. They should do the same with Donetsk and Lugansk. Encircle ... leave a route open for retreat ... Next city. Let them go back to the country they love so much. 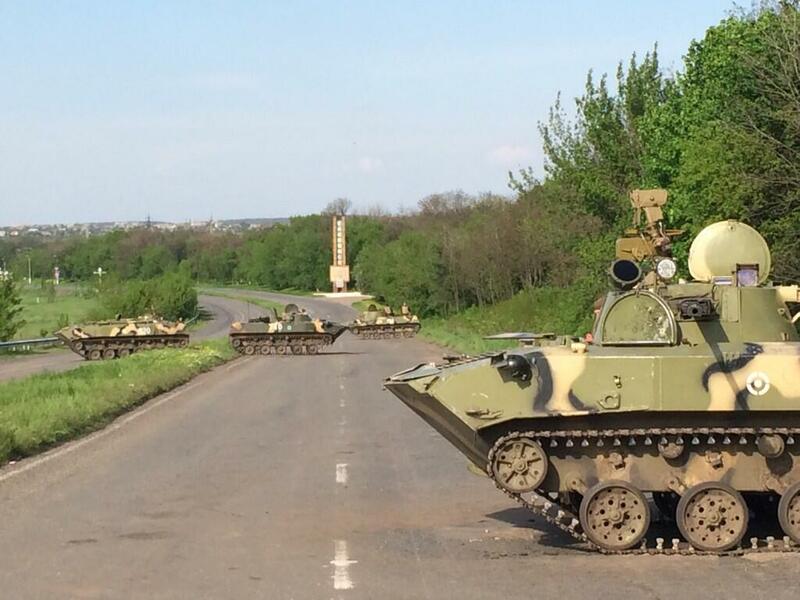 Or maybe drive their tanks to Moscow? 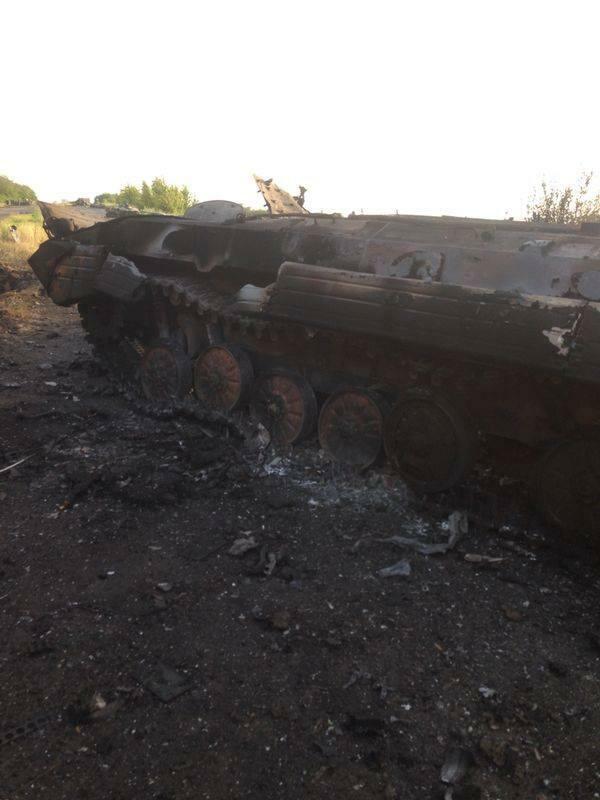 According to ukrainian MoD (http://www.mil.gov.ua/news/2014/07/05/pidzrozdili-sil-ato-zvilnyayut-mista-vid-teroristiv-ta-berut-ih-pid-svij-kontrol/) enemy losses include 1 tank (probably T-64BV which can be seen in fragments such as gun with part of the turret and 3 BMP's (probably BMP-2 No 128, unknown BMP and burned BMD-2). Later another official source make claim about 5 armored vehiles - 1 tank 2 BMP 2 BMD, probably 4 mentioned above plus BMD-1 in Kramatorsk (http://www.youtube.com/watch?v=hkX_APmv4WY). 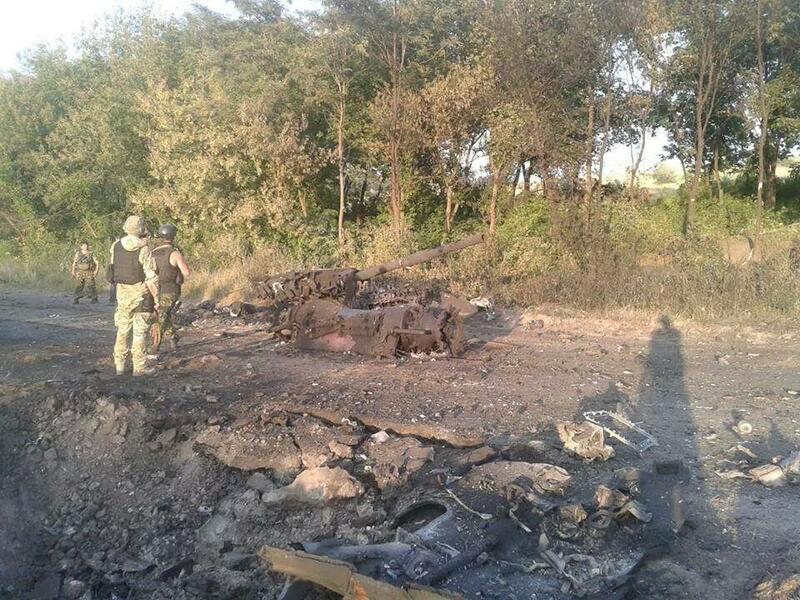 It seems that militia had destroyed checkpoint but hit into minefield and was stopped and destroyed also. P.S. It was dummy attack according to Strelkov. Main force choose another road for break-through. 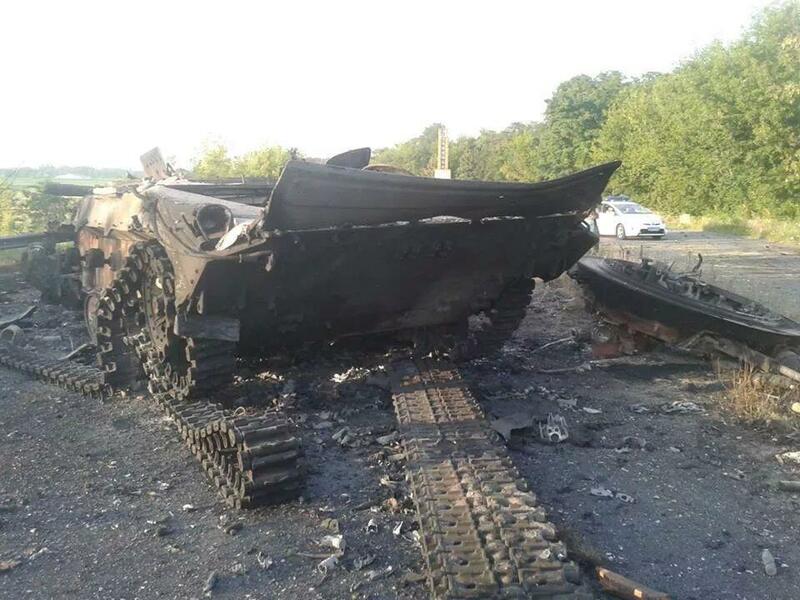 Unfortunately for militia such losses are very heavy because they had only 2-3 tanks, and up to 10 armored carriers in Slaviansk-Kramatorsk area.